A skilled hunter does not simply leap forward without a plan. The best huntsmen are patient and careful, lest they engage a prey they cannot hope to take down. Analyze the target, prepare for all scenarios... then can you lose yourself to the thrill of the hunt. 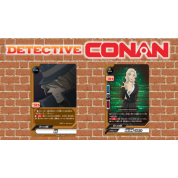 [Mystical Hunters] is a strategic deck that rewards players for planning their turns and plays. Lull your opponents into a false sense of security, then counter-attack swiftly! 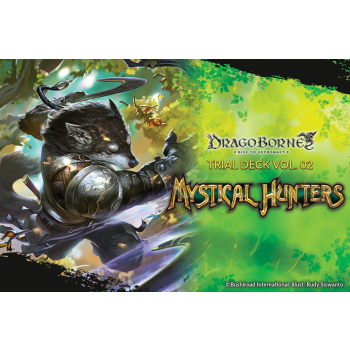 The [Mystical Hunters] Trial Deck comes with everything a player needs to start the game, including a 53-card deck, 3 dice, a paper playmat, and a rulebook. 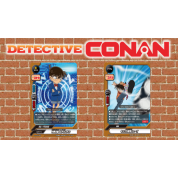 In addition, the first edition of [Mystical Hunters] will come with a PR card, and some decks will include a holo parallel PR card instead! Rulebook, playmat and 3 dice (blue, yellow, green) are included.